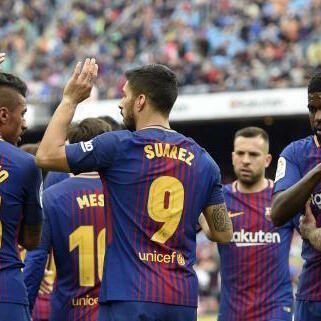 Valencia didn’t make it easy but Barcelona managed to roll over onto a LaLiga record 39 games unbeaten on Saturday and MARCA English’s Eye on LaLiga podcast ponders just how far the Catalans can take their run in this week’s show. The future of Andres Iniesta, an unpredictable Copa del Rey final, and Real Madrid’s Champions League exploits are also discussed by Marc Mayo and Jason Pettigrove. With plenty still to fight for in the race for second and the Europa League qualification places, that battle for Europe is featured for In Focus to round out the show.